Check out my recent interview with David Sweeney, head of Research England and in charge of implementing Plan S for Publishing Perspectives in full below – or the original here. With the development of Plan S having become so controversial—as Publishing Perspectives readers know from our prior coverage—David Sweeney is well accustomed to making the intended direction and potential of the program clear. “Our vision is that the research we produce should be read all over the world,” he said. “This means that the developing nations who may struggle at the moment to pay subscriptions will have this material to read freely. Open access publishing means that we want to receive the insights that come from people with different perspectives being able to read our material freely. 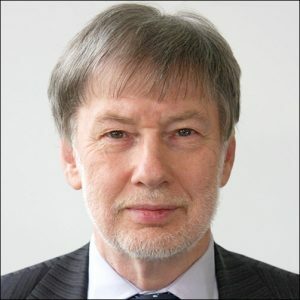 Sweeney is the co-chair of the implementation task force of Coalition S, an alliance launched by the European Research Council and comprising about a dozen of the leading funders of research in Europe who are together responsible for €7.6 billion (US$8.8 billion) in grants. Their Plan S is said to stand for science, speed, solution, and shock. “Science” because the plan is to mandate that all papers that are the products of publicly funded research organizations be free to read. “Shock” because the plan was suddenly announced on 4 September 2018 with what many publishers say was too little consultation. And “speed” in that the plan is supposed to implemented by 2020. But there’s also the word “Solution” attached because Plan S is to end the problem of publishers hiding scientific research paid for by the taxpayer behind paywalls that other scientists then have to pay a subscription fee to read. Instead, publishers are to have a new—and potentially less profitable—relationship with the scientific community. The publisher’s role will be to provide services to help researchers review, edit, distribute, and link their research, for which they can charge a fee based on the fair and reasonable value of their work and transparency over their costs to prevent profiteering. In speaking with Sweeney ahead of the Research and Scholarly Publishing Forum, Publishing Perspectives asked how the implementation of the radical Plan S was going. 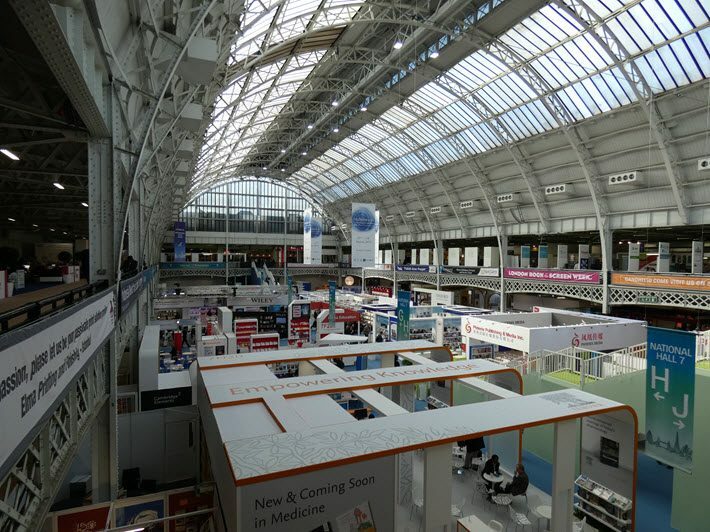 Publishing Perspectives asked if it’s a fair comment to say that the demand by Plan S that publishers “open their books” to potential vendors can seem rather aggressive. The perceived transparency requirement may be a problem for some publishers, Sweeney said, but he disagrees, he told us, with the complaint that the plan requires compliance too quickly. “There’s an implementation period,” he said. “From January 1, 2020, funders will only apply this to new grants or new calls for grants. This implementation period means the publications that will emerge from these new calls will be a couple of years down the line from then. “We recognize that we can’t abrogate existing contracts that are in place and there are lots of contacts that are being signed now which cannot just be turned over. I fail to see that it’s quite the tight time scale that people make it out to be. A part of his reference there is to the fact that the Berlin Declaration on Open Access to Knowledge in the Sciences and Humanities was signed 15 years ago. Another suspicion among some publishers is that a hidden agenda of Plan S is to destroy the commercial academic industry. “There are indeed people who have an agenda against commercial activity in academic publishing,” Sweeney said, “but Coalition S isn’t aligned with that view of the world at all. We recognize that to publish incurs costs. To provide a sustainable publishing industry, you’ve not only got to have costs, but you’ve got to have margins, so there’s cash for investment, returns to shareholders, and so on. We recognize that it’s partly a responsibility of the funders to provide a sustainable system. “I would deny that we’re anti-commercial,” he said. “And indeed, I think many of the criticisms that have been made of Coalition S are from people who think we ought to have been tougher on those who are commercial publishers. “Although we’re fully aligned with open access, that’s not any form of ideological statement about business models. We’re entirely happy with anybody who wants to publish with a sustainable model offering high-quality peer review. It’s not relevant to us whether they’re commercial or non-commercial. There are special concerns around journals such as Springer’s Nature, which hold positions of special value by virtue of their brands’ prestige. “I recognize that the costs involved with a publication like Nature are inherently high,” Sweeney said, “and the strong editors they hire may subsequently result in brand value. But what we’re doing is looking at the cost. “I can entirely accept the argument that some journals have higher costs than others. It seems to me that many of the costs that people talk about are well-justified. If you’ve got a very high number of papers submitted relative to the amount you publish then your costs will be higher, and that’s not an unreasonable thing. At the end of February, the University of California terminated its contract with Elsevier after a refusal to agree to universal open access for its research and to lower the costs of journal subscriptions. In speaking with us, Sweeney took care to point out that the coalition cannot make the transition period work on its own. “We’ve clearly said that by 2023 we’ll review where we are,” he said, “and I would expect that by then we’ll see very significant changes on the ground. “Yes, we do want to move on in a timely fashion, but we want to move on in a spirit of collaboration. Springer Nature produced a response to our feedback. This response does indicate some issues, but it’s full of ideas for how we might move forward. Previous What Netflix don’t want you to know?